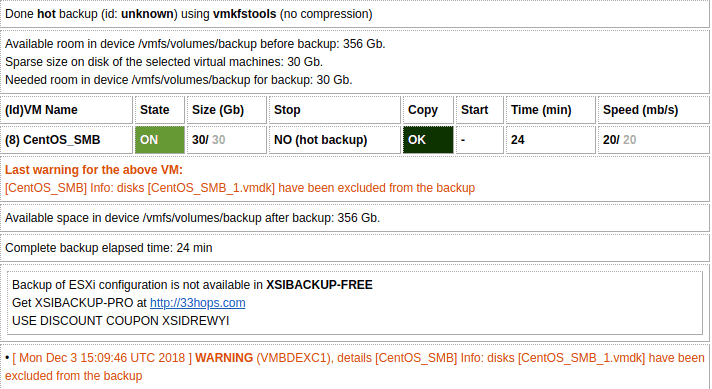 • custom: if this method is chosen a list of the VMs must be passed to the --backup-vms option. • all: backup -all- VMs. • running: backup only running virtual machines.